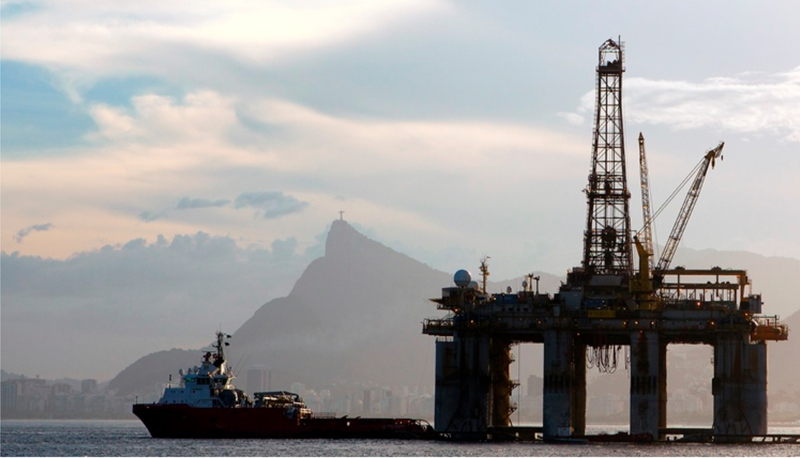 Brazil will hold its 14th round of bidding for many of the country’s oil and gas reserves today. 287 blocks will be offered, 110 of which are located offshore. The auction, covering a total area of 122,622 square kilometres, is expected to attract 32 bidders, including heavyweights Shell and BP. Another auction next month will sell off highly valuable pre-salt mines, often rich in resources, in the Santos and Campos basins. The auction comes as Brazil’s economy recovers from one of the worst recessions in the country’s history. After shrinking by 3.8% and 3.6% in the past two years, Brazil’s economy grew by 0.2% last quarter. Today and next month’s auctions will support that recovery, with Brazil expecting to make $2.7 billion off signing agreements, along with a further $63.5 billion in investments over the next ten years. Endemic corruption continues to squeeze Brazil’s economy. Brazil’s state oil company, Petrobras, has been at the heart of a three-year corruption scandal, which has negatively affected the oil sector. While oil auctions will relieve some pressure Brazil’s stalled economy, a strong recovery is impossible until the pervasive corruption that has crippled the country is addressed.